On Wednesday, February 6, House tax will hear HB 300, Generally revise taxes and the distribution of revenue through sales tax, sponsored by Representative White. This bill proposes to put a 2.5 percent statewide sales tax on most everything except for food and medical needs and eliminate state property taxes except for taxes on centrally assessed property. Montana’s tax system is regressive, meaning families living on low- and middle-incomes pay a higher share of their income on taxes than the wealthy. 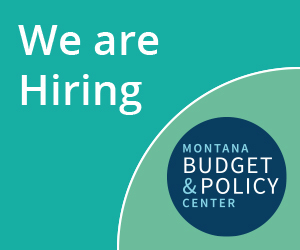 However, Montana has one of the fairest state tax system in the nation ranking better than 43 other states using the Institute on Taxation and Economic Policy’s Inequality Index. Replacing property taxes with a sales tax is both impractical and unfair for Montana families. 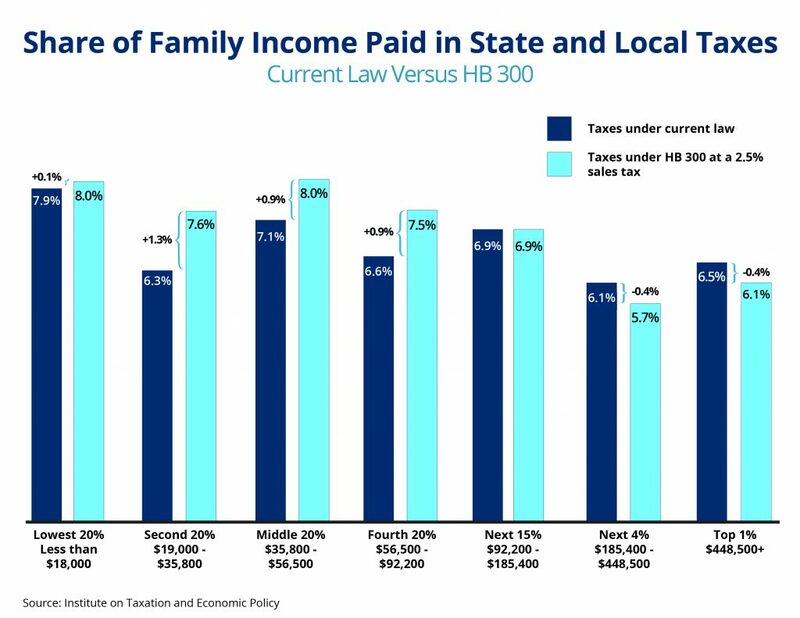 HB 300 would make Montana’s tax system more regressive, increasing the taxes paid by families living on lower- and middle-incomes in the state while decreasing the taxes paid by the wealthy. Not only that, but HB 300 would result in a loss of state revenue. Under HB 300, many state investments like public education, infrastructure, and public health programs would be cut. The following graphic shows what share of income is paid in state and local taxes in each income group in Montana currently, and what it would look like if HB 300 was passed. Montana legislature, vote no on HB 300 which would hurt Montana families living on lower- and middle-incomes.